Epson is a big name when it comes to projectors. They have a legacy of making some great quality products and the BrightLink 3LCD is nothing different from the league. The BrightLink 3LCD is an interactive projector offering exciting, collaborative learning for any classrooms. The best reason to have one of them is it does not require any electronic whiteboard, with this you can convert any wall or any board into an interactive display. Epson is a well-known company and has a good-will of having some great projectors, and the new BrightLink is nothing different as it carries the same legacy to a much higher level. 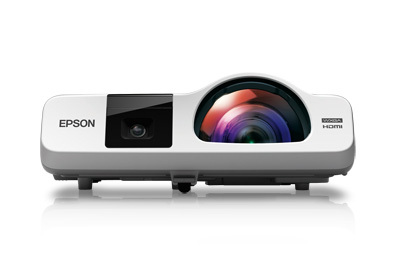 This new offering from Epson is great for classroom interactions as it can produce very bright and crisp images. It is really a great deal for those who run classrooms and are not having a white board as with this projector you can turn any wall or board into an interactive display. It is a great and a value for money device for those who want to make their classrooms a bit-more interactive. The images produced by it are crisp and bright and best part being it can be connected simultaneously to 50 devices. But the only downside being its limited use.